I’ve only found a few YouTubers who I absolutely adore and who consistently vlog about writing, but the good ones are good, folks. Kim Chance is one of my favorites. She’s the author of an upcoming young adult book called Keeper, which she’s currently querying to agents. And she’s just an all-around sweet and positive person, in her videos, on social media, and in email when I approached her about doing an interview. Take a load of these answers! Hi all! My name is Kim, and I’m a 30-year-old military wife, twin mommy, and high school English/reading teacher. Here are 10 fun/random facts about me! 1) I have a type A personality which means I am ridiculously organized and really enjoy making lists (bullet points make me happy) and color-coding things. 3) My homemade mac and cheese is so good, it will make you want to slap your Mama! 5) My husband calls me “Muttley” because when I get to laughing really hard, hardly any sound comes out. 6) My favorite word in the English language is “irrevocable.” I love the way it rolls off the tongue. “Superfluous” is a close second. 7)I was once “hypnotized” at an event and sang “Oops, I Did It Again” it front of hundreds of people. 8) TV Shows I Fangirl Over: Outlander, Grey’s Anatomy, The Walking Dead, Game of Thrones, Supernatural, Doctor Who, Reign, Downtown Abbey, & Once Upon a Time. 9) I cry during Disney movies — Every. Single. Time. 10) I like dinosaurs and zombies…just not together. How did you get into creative writing? I’ve been writing for as long as I can remember. Writing has always been something that I use to help me process the world around me. I have boxes of old journals and diaries I kept as a kid. However, I didn’t really get into creative writing until after I was married. My husband was deployed, and I spent a lot of time reading. I came up with an idea one day and a friend suggested I try writing it down. The rest is history! You’re currently querying a novel called Keeper. What’s the book about? When the ghost of a 200-year-old witch attacks her on the road, sixteen-year-old bookworm Lainey Styles is determined to find a logical explanation. But even with the impossible staring her in the face, Lainey refuses to buy in to all that “hocus pocus nonsense” — until she finds a photograph linking the witch to her dead mother. After the library archives and even Google come up empty, Lainey gives in and consults a psychic. There she discovers that, like her mother, she’s a Keeper: a witch with the exclusive ability to unlock and wield the Grimoire, a dangerous spell book. But the Grimoire is missing, stolen years ago by a malevolent warlock known as the Master. Now that Lainey’s true heritage has been uncovered, she’s the Master’s only hope in opening the Grimoire, where a powerful spell is locked inside — a spell that would allow him to siphon away the world’s magic. In an effort to force her hand, the Master kidnaps Lainey’s uncle and offers a trade: the spell for his life. With the help of her comic-book-loving, adventure-hungry best friend and an enigmatic but admittedly handsome street fighter, Lainey must leave behind her life of books and studying to prepare for the biggest test of all. She must steal back the book … before her uncle and the entire supernatural race pay the Master’s price. What is one thing you have absolutely loved about the process of writing Keeper, and what’s one thing that’s been a challenge for you? I think the thing I have loved the most is watching the story take on a life of its own. It’s come SO far since the original concept, and even from draft to draft it has truly evolved. I never thought I could write a story like this. It has pushed me and challenged me so much, but I am so incredibly proud of it. As for the challenges … well, gosh! There were just so many! Haha! One thing I really struggled with was my own stubbornness. Last year, I had several people tell me that they were struggling to connect with my main character, Lainey — this was when the book was still written in 3rd person. It was suggested to me multiple times that 1st person would allow readers to get in her head more. However, I was super resistant to this. I’d always imagined the story in 3rd and thinking about rewriting it in a different POV freaked me out! I fought it for a really long time until my editor, who I respect highly, made the same suggestion. I realized that I needed to stop being so stubborn and try to look at things objectively. When I was able to do that, I saw just how right those early readers had been. I made the decision to rewrite my entire book in first-person, and I am so glad I did. It revolutionized my book and the story is a million times better this way. So don’t be afraid to take risks. They can really pay off in the end! You maintain a YouTube channel where you share advice on writing and chronicle your journey with Keeper. What have you learned from your foray into vlogging? I think the biggest thing I’ve taken away from vlogging is just how important it is for writers to find an active community to take part in. So many people have reached out to me and expressed how alone they felt until watching my vlogs and realizing that they weren’t the only ones feeling that way. Writing is so incredibly difficult and you need a support system. I’m happy to keep making videos if it means that I’m helping and supporting fellow writers. I’ve also learned that you have to have some pretty thick skin. While 90% of my audience is incredibly kind and supportive, there are still those who go out of their way to be hateful and negative. I’m a super sensitive person, and it’s really hard not to get my feelings hurt when someone leaves a mean comment on one of my videos. I try not to take it personally though, and my own personal mantra is to always have courage and be kind. When people are ugly to me, I just make a point to pour out as much kindness into the world as I can. The world needs more kindness. What advice would you give other writers looking to take the plunge and join YouTube? Go for it! It’s a little intimidating putting yourself out there, but it’s also a lot of fun and super rewarding. My best advice is to be consistent, do your research so your content is quality, and put your personality into it! Also, don’t give up if your channel doesn’t take off right away. It takes time to build an audience. Be patient and don’t quit too soon! You’re also active on social media — Twitter, Facebook, Instagram, and Tumblr. What best practices have you learned firsthand about engaging with these different communities? Marketing yourself on social media takes a lot of time! I didn’t realize how time consuming it would be to keep so many different platforms updated and current. It’s so much fun connecting with people, but it also requires a lot of time and attention. My best advice is to pick 1-2 nights a week that you devote to social media. I’m always looking for people to chat with and I make sure to respond to everyone if I can. I adore being part of the writing community and I want everyone to feel included! I also make it a rule to not feed the trolls. I don’t respond to negativity unless I feel it’s absolutely necessary. There are better things I can do with my time. I also think consistency is key here as well. Do you have any advice for writers who are a little puzzled over how to “brand” themselves as a writer on social media? I think the word “brand” is a little scary sounding and confusing. What it really means (to me anyway) is making connections with people. The best thing you can do for yourself and your writing career is simply to strike up conversations with people! I am always on the lookout for new writerly friends and people I can talk to about my publishing journey. Be yourself and be authentic–don’t try to force something that isn’t you. It takes time to build a community (I like that word better than brand, don’t you? ), but all it really takes is personality, conversation, and authenticity. Don’t be afraid to talk to people. As for the more official “branding,” I would suggest creating a website and giving all of your social media pages the same design elements. I use the same profile picture for my pages and try to use similar design elements on each — this helps people to recognize me and make connections to things they may have seen on other pages. Cross-posting helps too. I think it’s incredibly brave that you’re putting your efforts out there as you search for an agent and publisher for Keeper. A lot of writers would be afraid to take their journey public because so many of us fear failure. How do you overcome that fear? Is broadcasting what happens with Keeper about personal accountability (ie., a way to commit yourself to completing the book), or about something else? I don’t know that I’ve necessarily overcome my fear. I just think my determination to see my dream realized is a lot bigger than any doubt or worry I might struggle with. I’m not special, really. I fear failure just like everyone else, but I think the difference is that I refuse to let that fear stand in my way. I think every writer just has to come to that place where they realize that the feeling of regret is far worse than taking a chance and not being successful. I would rather try and fail a thousand times than live my life knowing I let fear stop me from reaching my dreams. As far as the videos go, there is a bit of personal accountability wrapped up in them, but it’s also about being honest and open in regards to the process. I think a lot writers feel very alone in their journey and I’m hoping by sharing my experiences that those writers will feel a sense of community. I have a heart for people, especially writers and I want to support and encourage as many as I can! We’re all in this together! In your latest vlog, you talk about how you have often felt alone as a writer. I think a lot of writers are right there with you. If you could send a message to all the aspiring writers in the world, what would you tell them? Remember, nothing worth having comes easy. I can’t promise you that you won’t face hardships. I can’t guarantee that you won’t want to quit a thousand different times. I won’t lie to you and tell you that everyone will always love your work — they won’t. And I certainly won’t tell you that this path is going to be simple — it’s not. BUT I can promise you that this journey is so worth it in the end! There is no greater feeling than finishing your manuscript and knowing that you’ve done what so many attempt, but never accomplish. You are AMAZING, and the best advice I can give you is to keep writing and never give up! If you want something bad enough, you CAN achieve it. It takes hard work, but YOU CAN DO IT. I believe in you! Just remember this: Dreams don’t work unless you do! So, never stop writing! Never give up, never give in! You got this! Halloween may be over, but that doesn’t mean the scares have to end. 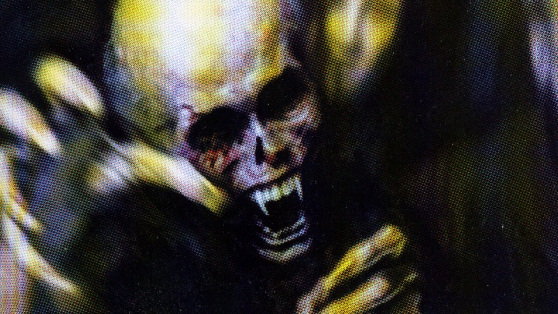 One of my favorite authors, Dana Fredsti (writer of excellent zombie novels Plague Town and Plague Nation), shared with me a few of her favorite scary books — and answered a very important question about the genre itself. Because who would know horror better than a horror author? What are some of your personal favorite horror books that you wish everyone would read? The Shining by Stephen King — One of the first books that scared me when I read it, and this was during the daytime. We’re talking skin-crawling, don’t-look-under-the-bed type shivers. I can’t say that about many books or movies, so no wonder The Shining popped into mind first! 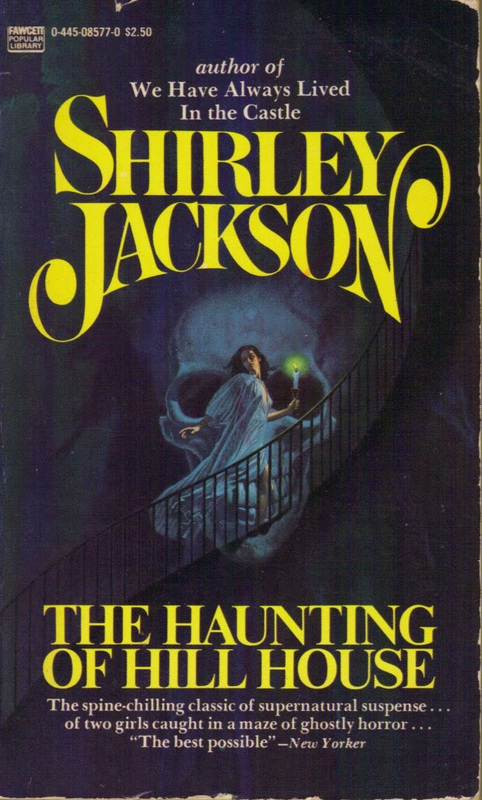 Haunting of Hill House by Shirley Jackson — One of the best haunted house stories ever written (and the film adaptation — the original; not more recent CGI crapfest — remains the scariest movie ever made without a hint of gore), and it stands the test of time. Where the Chill Waits by T. Chris Martindale — This book prompted me to write my first ever fan letter to the author. An excellent and creepy novel about the wendigo, a flesh-eating Ojibwa demon that either drives its victims insane and infects them with a craving for human flesh or just eats ’em. I Am Legend by Richard Matheson — The story of the sole survivor of a plague that turns its victims into vampires, this novel spawned three film adaptations (Last Man on Earth, Omega Man, and I Am Legend) and inspired George Romero’s classic movie Night of the Living Dead. 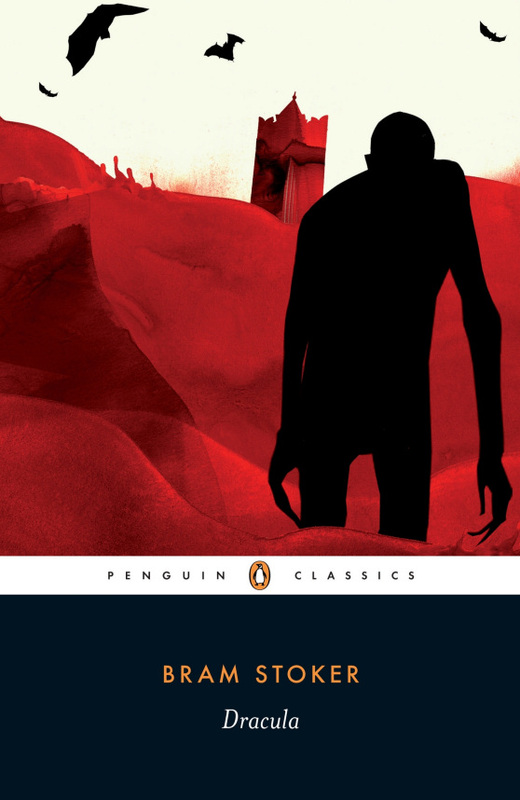 Dracula by Bram Stoker — It’s a classic for a reason. I read it once a year starting when I was 10 years old. There. Start with those, and when you’re done, come back and I’ll have more for ya! Why should people who enjoy a good scare or horror movie try picking up a horror book instead? The human imagination can conjure up more horrific and subtle scares and images than any film can do for us. When you read a well-written horror novel or story, your mind does so much more work to scare you than any movie can do, especially in this age of CGI, when it’s so easy to tell something is fake. Reading sparks the imagination in a way that no film can ever hope to emulate. Thanks, Dana! Be sure to check out her books, Plague Town and Plague Nation (they’re both so good!). She’s currently working on the third in her Ashley Parker series, Plague World. Marta Acosta is frustrated. In our emails, she half-jokingly said that she was considering writing “I don’t write romance novels” at the top of her blog. I don’t blame her. 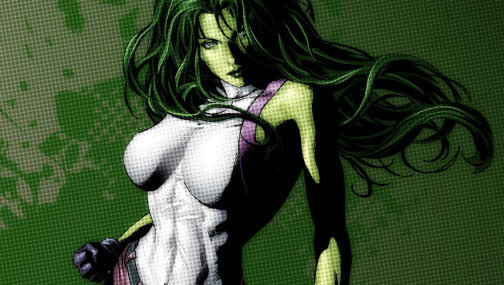 It’s an understatement to say the media overreacted to publishers Marvel and Hyperion’s announcement of a new line of prose novels, starting with The She-Hulk Diaries and Rogue Touch. They called it romance; it’s not. Others, like me, reacted to the overreaction and wondered whether this was the best way to portray these superheroines. The whole thing spun out of hand. I wanted to share Marta’s story because she was caught in the middle. As a journalist, I want to stand up for those who have been treated unfairly or whose voice has been lost in a sea of others. As a blogger, I want to say that a lot of this was an honest misunderstanding — it’s hard to be a feminist (although it’s easy to be one in today’s world) and not overreact once in a while. But even mistakes like these can prompt discussion about bigger issues, like genre and the way we portray women in writing. Marta and I talked about the mishap from these angles and more. 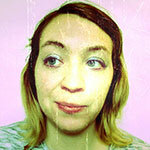 Don’t forget to check out Marta’s guest blog post from yesterday. 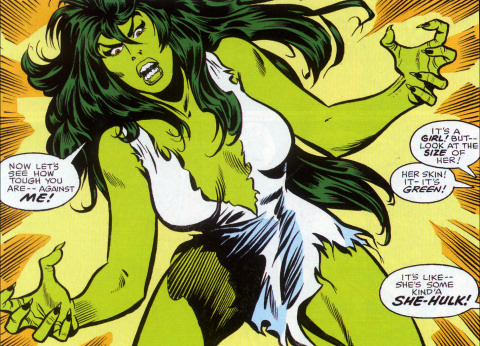 Misprinted Pages: Marta, I’m mortified that the Internet has gotten She-Hulk so wrong. Fans fell for it; I fell for it. That’s why I feel so compelled to get the truth out there. Let’s start at the beginning, when Marvel and Hyperion had just made the announcement. What all happened that led to The She-Hulk Diaries and Rogue Touch getting mislabeled as romance novels? 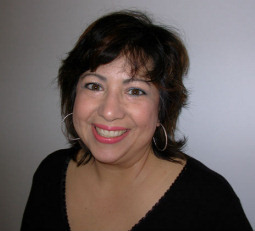 Marta Acosta: Hi, Stephanie, and thanks for having me here to talk about my next book! My fantastic editor Elisabeth Dyssegaard made the announcement about the She-Hulk and Rogue novels. First off, it’s great to have an accomplished woman editor at the helm of these new Marvel projects. Some publications and some bloggers cherry-picked words either looking for a reaction or outrage. So “traditional women’s novels” was twisted as meaning novels in which a female character is weak and subjugated to men. All the positive points about the characters were ignored, and “romance” was presented as meaning a romance novel, which is a separate genre with its own genre conventions. While I don’t write romance novels — defined as having a love interest as the central theme — I’m always a little stunned at the nasty disdain the genre receives. There are great and crappy novels in any genre you can name, including literary fiction, and I can’t help but think that romance is a target because it’s predominantly written by women for women and it celebrates their emotional life and sexuality. Update at 12:03 p.m. EST: Out of fairness, I’ve removed the word “romance” from the headline. What happened is this: Marvel/Hyperion didn’t explicitly state that these were romance novels — but most websites did. That created some confusion and, probably, much of the backlash. Genre confusion is something Marta and I will be discussing in our interview, but I wasn’t aware of the incorrect labeling at the time of this post. That kind of got muddled, and I haven’t seen these websites issue corrections. Well, I’ve actually been talking to the She-Hulk author, Marta Acosta. We’re working on getting her a guest slot here on the blog, but I’ll also be asking her some questions. And I want to hear yours! Worried about her approach to the character? Confused about what makes “good” romance/chick-lit/women’s fiction? Or maybe you just want to know more about the author. Whatever you’re wondering about, post your questions below, and I’ll be sure to get them to her. Hey, guys! I was lucky enough to get to ask R.A. Salvatore some questions about his career and upcoming book, The Last Threshold (the fourth and final book in the Neverwinter Saga). If you’re not familiar with his name, then you’re probably not a big enough nerd. ;) Salvatore wrote novels like The DemonWars Saga and many, many Forgotten Realms books (like this one), which refer to a campaign setting in the Dungeons & Dragons fantasy tabletop-role-playing games. He’s also known for creating a megapopular character, the dark elf Drizzt Do’Urden. Salvatore is a pretty cool dude! For that reason, I couldn’t pass up this opportunity to interview him even though I’m not schooled in the lore. So I decided to ask him questions from a newcomer’s standpoint — that way people who aren’t familiar with the series can understand what makes it so huge. Misprinted Pages: I’m new to this particular series. Can you talk a little about it’s about and describe the book that’s coming out on March 5? We had a meeting, and they explained what they needed, and it sounded like it would be a lot of fun. I readily agreed because, with the Drizzt books, the meta-events are just the icing on the cake. The Drizzt books are about the characters, running about in a wild world. So to do what Wizards of the Coast and Cryptic wanted wasn’t going to change the “cake” itself; I knew the new emotional and spiritual journey through which I needed to send Drizzt and his companions after the brutal trials of the last set, aptly called Transitions. This book, The Last Threshold, marks the end of that particular emotional and spiritual journey, a crossroads decided, where the choices are resolved and the consequences play out, sometimes brutally. 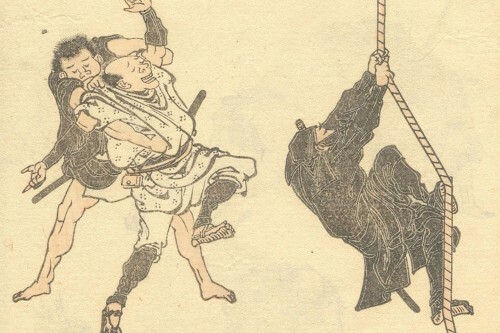 Maybe you learned a little about ninjas in my review of historian John Man’s new book, Ninja: 1,000 Years of the Shadow Warrior. To fill in any blanks, the author has kindly answered eight of your most burning questions, which I’m posting here. You even managed to stump him on one. Q: What was the ninja’s weapon of choice for assassinations? John Man: A knife! Everything else was too cumbersome. Q: How did they keep their villages secret so that families of those they’d assassinated wouldn’t strike them in their homes? Man: There really weren’t all that many successful assassinations though there were several famous failures, which ended in the ninja’s death. Assassins were usually not villagers but were agents sent out by warlords living in well-defended castles. Q: What was the average life span of a ninja? Man: No idea! But it was a young man’s game. Since the real village-dwelling ninjas spent most of their time as farmers, I would guess they gave up being ninjas by the time they were 40. Q: Did they really use kites for aerial assaults and infiltration? Man: Never heard of that in real life. Man: There are countless ninjutsu clubs and interest groups, but don’t confuse these with the real ninjas. Most of what passes for ninjutsu was devised after World War II. Q: What is the relationship between ninjas and samurai? Man: Some samurai were also ninjas because spying is a vital military activity; most ninjas were also samurai. So in military affairs, the relationship was close. But socially samurai ideals were so un-ninja that samurai had nothing to do with them. Q: During what period were ninjas most active? Man: During the late Middle Ages, about 1300 to about 1600. The last action in which ninjas were involved was in an anti-shogun rebellion on the Shimabara Peninsula in 1638. Q: Did they really camouflage themselves with outfits similar to those in movies? Man: Well, there was a ninja uniform — loose jacket and trousers — which was adapted from farmer’s clothing. But it was dark blue, not black. On occasion, they also wore a very lightweight chain-mail armor. I saw some suits of this armor owned by a restaurant owner who came from a ninja family. Special thanks to HarperCollins for making this Q&A possible. I’ve got some cool news to share! I’m now a published writer on The Escapist, a big video games site that I’ve been dreaming of submitting to for years. John Shirley is a master of horror, cyberpunk, and science fiction, but what do these genres have to do with video games? As it turns out, a lot. So you’ve probably caught on by now: I’m a busy gal. My boyfriend and I are settled into our new apartment, but it’s a lifestyle change, and that means a lot more responsibility around the house. Plus, a MILLION little things have been going wrong all over the place! I’m super exhausted and sleepy from all the stress as I type this. Book reviews will return soon! I’ve been swamped with stuff for Kirkus, so A Clash of Kings has been mostly put on hold. Anyway, I wanted to share my latest editorial for GamesBeat. 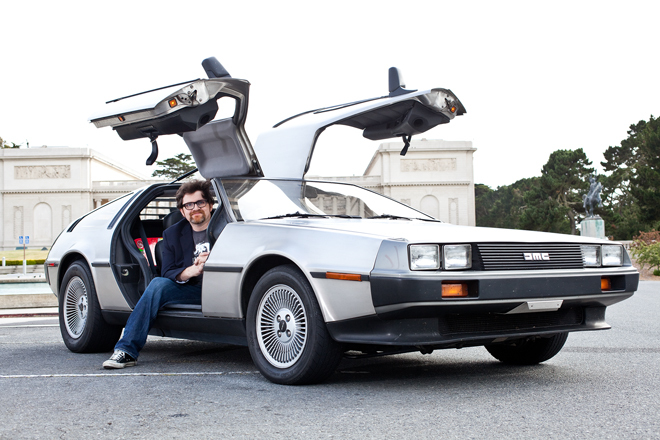 This time I talked to Ready Player One author Ernest Cline (you remember my review) about his book, his contest — he’s giving away an actual 1981 DeLorean, whoa! — and what comes next. Check it out, share, and let me know what you think!